Last year I ran the St. George Marathon with my wife. She wasn't having a good day, and each step she made became a challenge. Ever since then, I often think about how amazing those last six miles of a marathon are. I felt honored to be around fellow runners as we each fought our way to the finish line. You will see intense pain. You will see a struggle to put one foot in front of the other. You will see an internal battle of will. When you see someone cross the finish line of a marathon, you are witnessing a miraculous transformation. 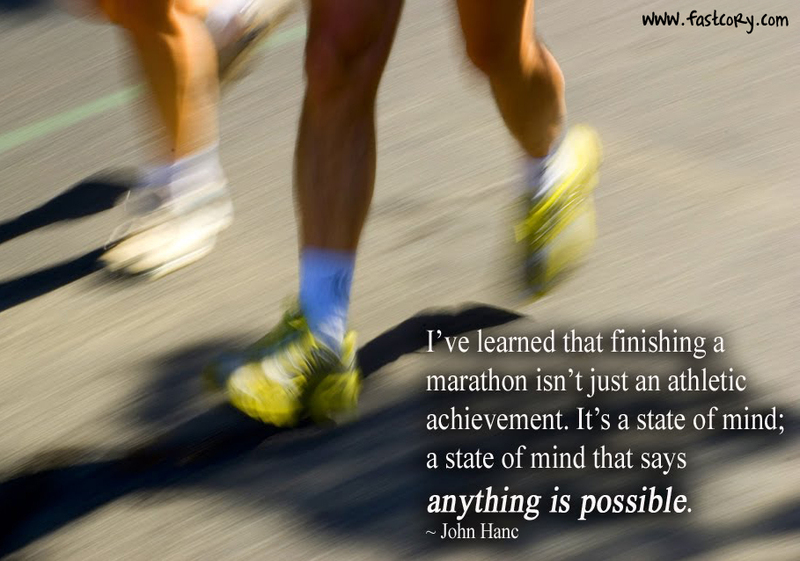 Because the moment that person crosses the finish line, they realize that ANYTHING is possible. Great post! Kind of makes me want to spectate a marathon one time instead of running. That last portion is where the magic happens. Where your will to succeed overcomes your weakness. It's incredible. I actually just signed up for the St. George Marathon yesterday! I'm pacing my cousin through it who is worried about the cutoff time. It will be a very different experience for me to help someone through those last six miles instead of being completely self absorbed during a race! Very true! You find out what you are really made of in the last 6.2. This is my favorite blog post I've seen anywhere in a really long time. This is why I love the marathon. Cory, I needed that! I'm training for my first marathon in October, and I'm struggling out there, mentally! It's hard for me to keep going! I did 15 on Tuesday, and I've got 16 for this Sunday. Thanks for the encouragement! This is so perfect! I love it and need to hear it. It makes me a little bit nervous to read how challenging the ending is and now I question if a 20 miler is a long enough long run? I sure hope so. My marathon is just 3 weeks away!!! Expect to see all those and maybe more in a couple of weeks when I finish my first ultra! It is so true. 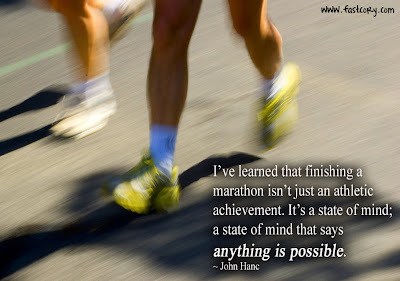 After you finish a marathon you realize just how much of what we can and can't do is in our own minds and not our physical strength. Great post. Absolutely. The last 6.2 miles were a totally different "race" than the first 20 for me. I haven't done a marathon yet so I can only imagine how tough the last 10k is going to be. For me it was the last 7k. It hurt bad. But I struggled through like every other marathoner. It takes a different sort of courage to keep going when you're hurting that much. Love this! So true and really captures what happens! What a great post! I really enjoy reading it! Awesome post Cory! I saw all those things as I watched near the finish line of the St. George Marathon in 2008. I was so inspired, it made me decide that I wanted to run the marathon in 2009. Training and running that marathon changed my life! !